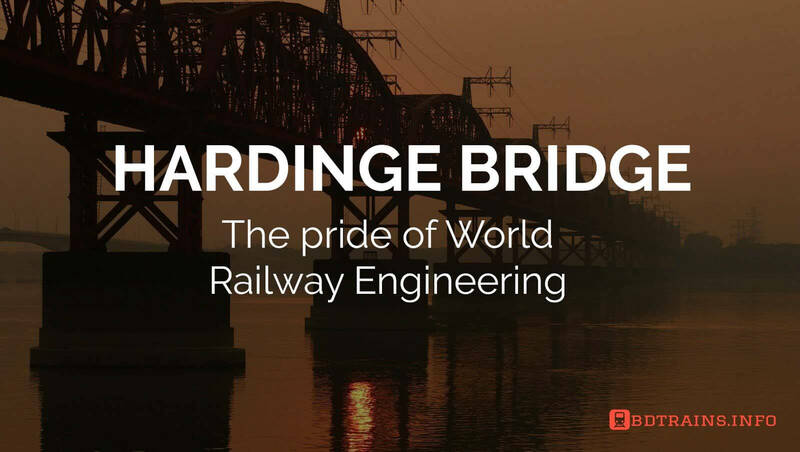 The biggest railway bridge in Bangladesh is Hardinge Bridge situated in Pakshi, Pabna and on the other side Veramara Upzilla, Kustia. Simply this bridge has not been connected only but it was built to connect whole Bangladesh and Assam with the Indian subcontinent. This was an awesome creation of British period in the history. This is now not only a historical place but also a tourist spot and a great asset to the world railway heritage too. A lot of people wants to know it's history, how this incredible bridge was built at that time. To the present day's a lot of bridges has been built larger than Hardinge bridge but Hardinge bridge is a unique creation of railway engineering. In 1880 it was started the ferry service between Damukdia- Rayta Ghat, Veramara, and Saraghat to make transportation easy between North Bengal and Kolkata according to Pakshi branch, West Bengal railway, India. After building Lalon Shah Bridge the ferry service was stopped. On that time the Saraghat, was the biggest river port in this area. A lot of business vehicles used this port to run their international business, the business was actually among the then Bengal, Assam and India. So this place was a place of the big deal but an easy and convenient transportation was a big problem. Strategically this is an important place. At that time the Padma river full of water and with high-velocity water flow not like the present time. you know India built Dams up to Padma river and this high current deadly river is now a desert. However, at 1889 it was first proposed to build a bridge this important place. 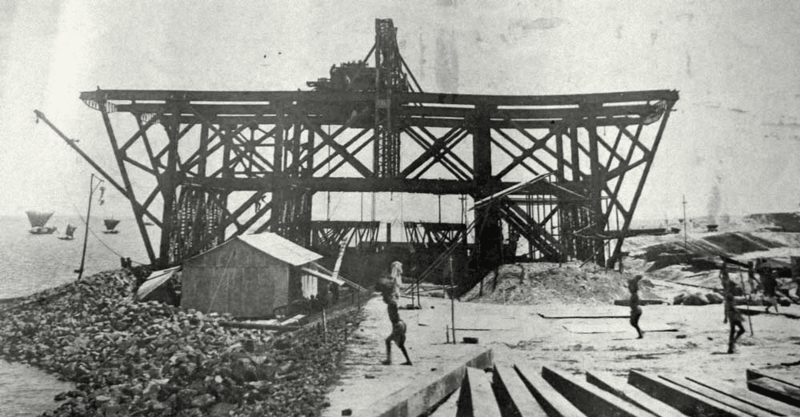 According to a proposal at 1902 first, it was started to make a survey to measure possibilities and difficulties of construction of a railway bridge. Based on the report Match J F Spring a British engineer submit a details report on building a bridge there. In 1907 the plan was finalized. At 1908 the main design was granted and the chief was British Engineer Robert William Gayle. The main design was given by Sir S M Bendelleg. The contractor of the bridge was Braith White and Clark. The first part of the construction of the bridge was building guide bank to protect the bridge from the deadly current of Padma river. In 1910 to 1912 the guide bank was built. The length of the guide bank is around four to five kilometers both side of the bridge. The bridge was started to build first one kilometer south from present bridge location on GK Irrigation Project but it was shifted to the present location on an unknown reason. Maybe the engineers know this well. This was the toughest part of building well in the heart of deadly Padma river. However digging well was started in 1912 defeating the tide of Padma river. No doubt it was not an easy task. In 1902 it was built 5 well for spans and in 1913 it was built 7 more wells. After digging well it was started to built spans and fifteen spans were built. The distance between them is Three hundred and forty-five feet and its height is fifty-two feet. The weight of the heavy span was One thousand two hundred and fifty tons (1250 tons). There are more three land spans on both sides of the river and the distance between them are 75 feet. So the total length of the bridge becomes a little bit more than one mile or One thousand eight hundred and ninety-four feet. According to February 1912, the total worker was 24 thousand and four hundred they worked for five years, it was a big project, right? Obviously. So the then government spent a lot to build this. right? How much? The construction cost for the bridge was three crore and fifty-two lacs. This was a lot of money at that time. You know one of the spans of the bridge was broken in 1971 liberation war by the Indian air force. So the repair cost was 32 crore plus something. The base of this bridge is 160 feet deep from the bottom line of water. Note that the fiftieth no span well was as deep as 160 feet. On that period such deep well bridge was not available. so Hardinge bridge is unique. The other span well is 150 feet deep from the bottom line of water. The river training system is also unique. Mr. Gayles got 'Sir' designation after building this bridge. 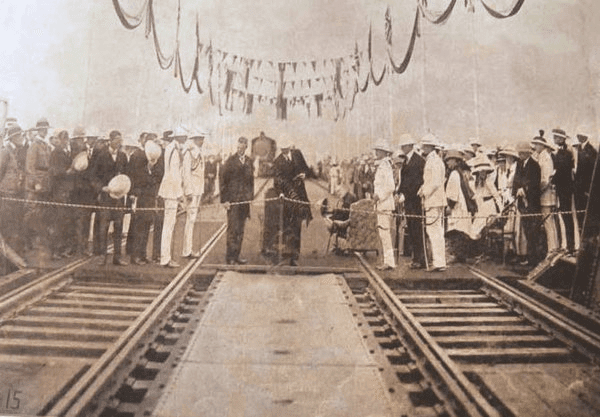 In 1st January the bridge was opened for cargo train and was opened for passenger trains after two months later in March 1915 and it was Inaugurated by the then Viceroy Lord Hardinge And the name of the bridge was after his name Pakshy Hardinge Bridge. 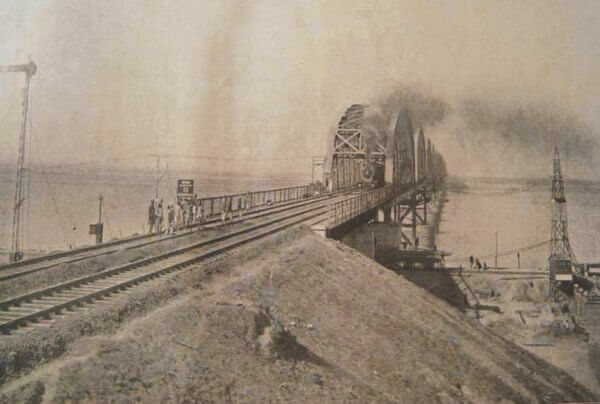 The major repair of the bridge was done after the liberation war of Bangladesh due to the 9th span of the bridge was broken badly due to the Indian air strike to this bridge. Just after the liberation war 1972, the bridge was repaired in a quick manner with the help of British gov and British engineers. However, after that still, now the bridge is running smooth and fine and contributing a lot to the economy of Bangladesh. Due to Hardinge bridge, Pakshay has become a tourist spot. A lot of people travel every day this old antique bridge. You are also invited to travel this. If you travel from Dhaka to Khulna or Dhaka to Jessore or Rajshahi to Khulna or from anywhere to the route of Khulna you will cross Hardinge bridge through the train. This will be really an amazing journey if you do this for the first time.